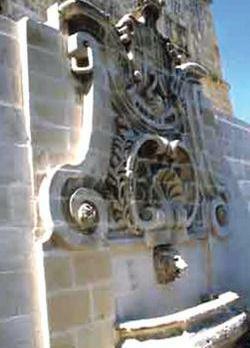 The Wignacourt fountain, located near Valletta’s opera house ruins, will be relocated for the fifth time since it was built in the early 1600s as a symbol that water was running through the city. This time the fountain, built by Grand Master Alof de Wignacourt, will be moved to make space for alterations being made as part of the ongoing City Gate project. Mepa gave the go-ahead for the move on Thursday and, next month, the fountain will be dismantled, restored and reassembled a few metres to the left (facing the fountain) underneath the terrace of St James Cavalier in Ordinance Street. In 1610 Grand Master Wignacourt initiated a project to channel water to Valletta from the natural springs in Rabat. A system of aqueducts was built that still bears his name. A number of fountains were then built in Valletta to receive the water and the Wignacourt fountain, built in 1615, was one of them. It consists of a stone basin into which a head of a lion spouts water, with two interlocking sea shells surrounded by a garland of flowers. It bears the coat of arms of Grand Master Wignacourt and of the Order of St John. On the lower part there is a radiating sun which bears the motto Omnibus Idem, meaning “everyone is the same”. The fountain was originally situated opposite the present day opera house ruins. In the late 1800s, when Palazzo Francia was built, it was moved across the road below St James Cavalier on the side of the opera house. In the 1960s, when City Gate was built, it was relocated a few metres away. The current fountain is the result of another relocation, in 2000, as part of St James’ arts centre.